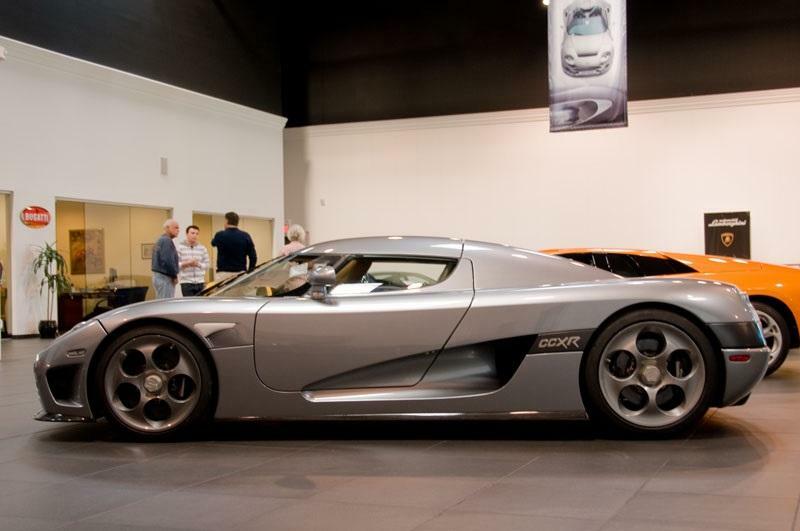 This CCXR is easily one of the most enigmatic Koenigseggs in the U.S. It has been registered in Nevada since 2009, and sees regular service in California, yet photographic spots of it are exceedingly rare. Its only notable recent public appearance was August 2015 in Monterey, California during the annual car show week. It was among several Koengiseggs in the area at that time. Gloss grey paint, with charcoal colored rear center section and side model call-out panels. Clear carbon front splitter. This car has not been fitted with a rear wing; only four other CCX-series cars were delivered without rear wings. All of the other cars that Koenigsegg originally delivered without wings have since had wings added as part of ongoing upgrades, leaving #065 as the only wingless Koenigsegg. Interestingly, this car wears the CCR style five hole "dial" wheels. We have not yet found any detailed photos of this car's interior. However, from what we can tell by the photos we do have, the interior appears fully finished in tan leather. A U.S.-spec required passenger airbag is present. We also not yet found any photos of this car's engine. However, this car is expected to carry the standard 4.7 liter DOHC, twin supercharged, ethanol-capable engine of the CCXR range. When running on E85 ethanol, this engine is capable of producing 1018 horsepower. This engine is fully U.S. EPA compliant. This car is registered under a different VIN - YT9XH33A68A007065. 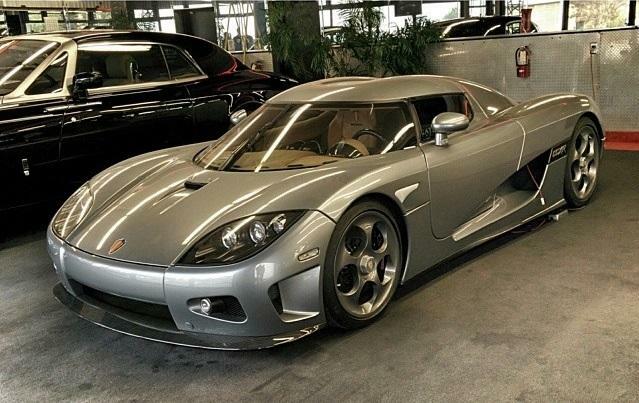 I cannot guess the origins of this erroneous VIN, but it is clear that it could not be that of a U.S.-spec CCXR. Format YT9XH33 is used for CCX cars, and in addition, an 8th digit of A would indicate the presence of only one airbag. It is clear that this car has two airbags (thus 8th digit of B). It's possible in theory that Koengisegg supplied the VIN to the purchaser for purpose of registration, before the car was actually complete. Upon compeletion as a U.S.-spec CCXR, perhaps Koengisegg changed the VIN to more properly indicate its configuration. It can be assumed that YT9XD33B08A007065 is the correct VIN for this car, as it shows regular service records as recently as March 2014. It's apparent the registering DMV has not (and quite possibly will not) noted the error, and is simply renewing the registration on the incorrect VIN each year without question.